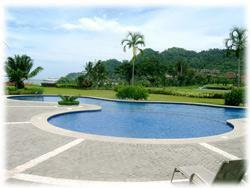 New 3 bedroom 2 baths unit (200m2 or 2,000sq feet) in the most outstanding vacation place of Costa Rica: Los Suenos Golf Resort and Marina.... This resort community is situated on Herradura Bay, Central Pacific Coast and its strategic location provides easy access from San Jose's International Airport (just 1hr. 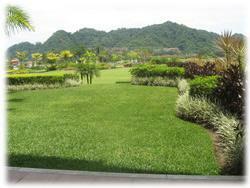 45 minutes) and Costa Rica's most popular attractions. JUST a few minutes from Jaco and Hermosa (surfing beaches). Surrounded by mountains of rain forest and the sparkling blue Pacific, this luxury condo sit on a short walking distance to Marriott's oceanfront hotel, casino, golf course and International Marina. The incredible golf course and marina are just a short walk away and our guests can also take full advantage of the services available at the Marriott Resort, which is at the center of the resort community. Masterfully designed by one of Costa Rica's most renowned architects, the condos blend beautifully with the surroundings and offer breathtaking views of the golf course La Iguana and the beautiful mountains of Los Suenos Resort in Herradura Bay. 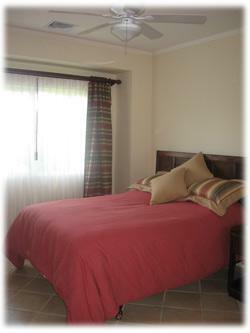 Jaco beach is only 5 minutes drive with all its restaurants, shopping, supermarkets, entertainment and night life. 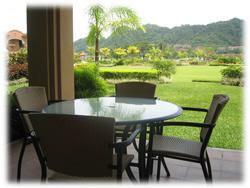 In our condo you can enjoy room service available from all the restaurants in Los Suenos, the Marriott Hotel and also several other delivery restaurants in Jaco beach, that is just 5 minutes drive from this unit and where you can find lots of activities, restaurants, night clubs and more! 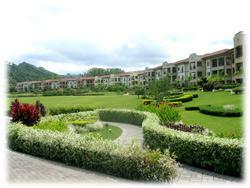 Our unit offers peaceful golf and nature views and spacious terrace for outside relaxation and BBQ terrace dinning. Spacious kitchen counter table/bar overlooking dining room, living room and terrace. 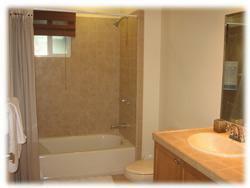 One level floor plan with 3 bedrooms and 2 bathrooms. Sequential master bedroom/bathroom, middle bedroom, bath and third bedroom, and next to the kitchen dining room and living room area. Our unit is on the garden level, so is very accessible because it is located on the garage level, no stair climbing during rainy season. 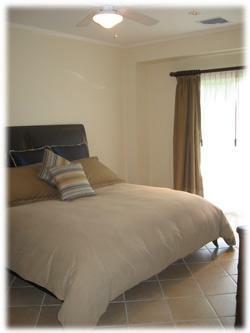 Featuring brand new furniture, window dressings and linens. 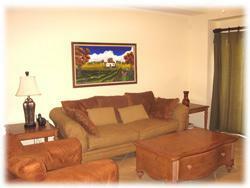 It comes fully furnished and fully equipped! 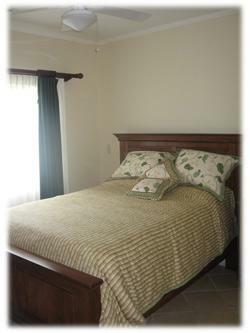 The condo has a King size bed in the master bedroom, 2 double beds -one in each secondary bedroom- (sleeps 6). 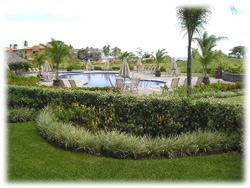 Stay with us in Los Suenos Gardens in Del Mar and SAVE BIG MONEY! 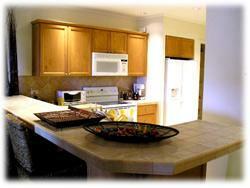 (Pay less than a regular 2 bedroom for a luxury 3 bedroom condominium!)*. 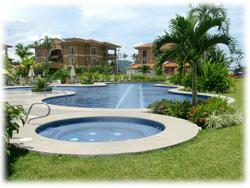 * Based on regular rates of Los Suenos. 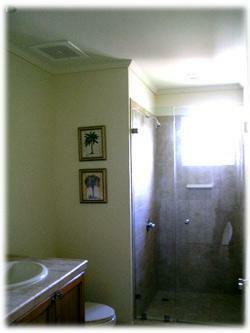 * Our rates include: daily cleaning (or upon request), and taxes.